As teachers, we often try to think of new and interesting ways for students to tell their own stories. 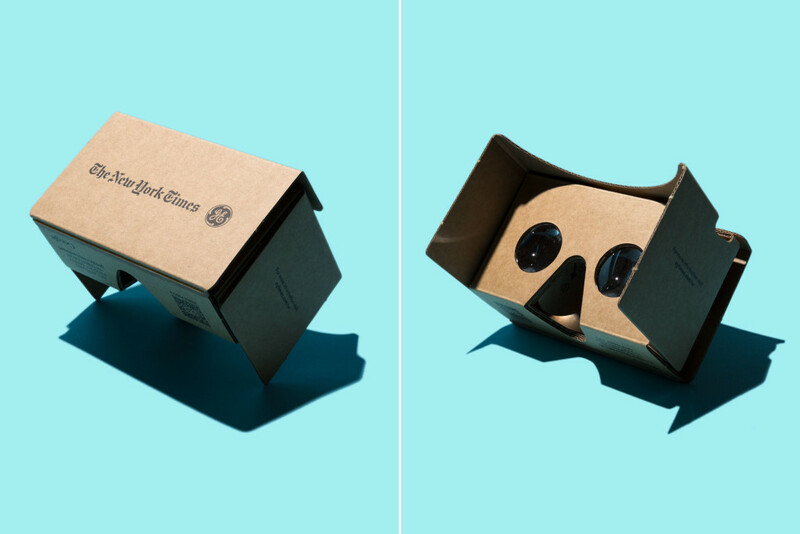 This weekend, the New York Times, sent to its print subscribers, Google Cardboard, to expose readers to the new idea of digital storytelling. "VR film for the app called The Displaced, details the struggles of three children caught in the global refugee crisis." Through Google Cardboard, a smartphone (preferably Android, although more apps for IOS are coming), and a variety of VR apps, students, and teachers can show, create, or view stories and locations from around the world in 3D. There are many other locations on the web in which students can tell their stories. Below are just a few of the many locations they can use to tell their stories. ZooBurst- ZooBurst is a digital storytelling tool that lets anyone easily create his or her own 3D pop-up books. Using ZooBurst, storytellers of any age can create their own rich worlds in which their stories can come to life. Show Me App for iPad - Turn your iPad into your personal interactive whiteboard! ShowMe allows you to record voice-over whiteboard tutorials, tell stories and share them online. When you are done, upload your whiteboard to your YouTube channel for future viewing! VoiceThread- Create and share dynamic conversations around documents, snapshots, diagrams and videos -- basically anything there is to talk about. You can talk, type, and draw right on the screen. VoiceThread takes your conversations to the next level, capturing your presence, not just your comments. Anyone can join the discussion -- anytime, anywhere. Little Birds Tales- Little Bird Tales was created to help nurture children's creativity and imagination while simultaneously creating one of-a-kind digital stories that can easily be shared. We strive to foster a love for reading, writing, self-expression and creative technology and to make the process easy and fun for students and teachers. Google Stories - Searches can become stories. Some are inspiring, some change the way we see the world, and some just make us laugh. Here are a few of our favorites.